We are now nine days away from the expected debut of the Galaxy Note 5 and leaks continue to pour in. Most recently, we’ve seen evleaks show off a press render of the device. 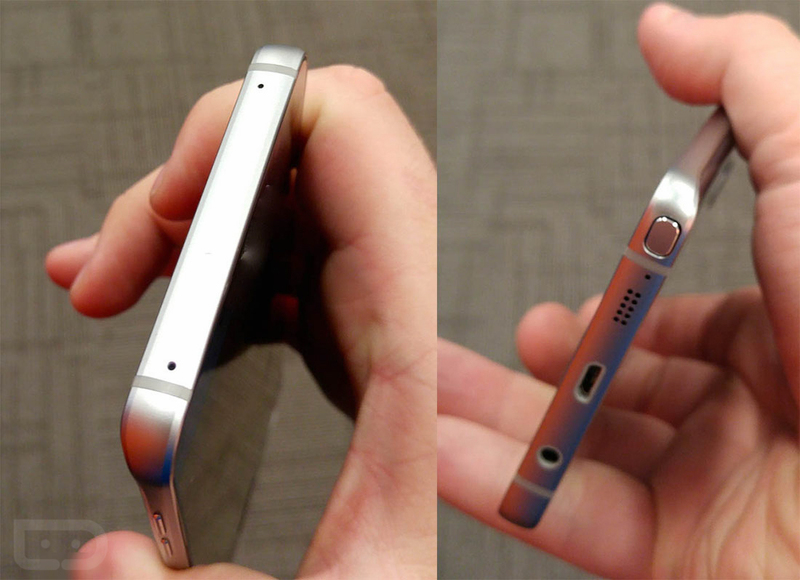 Now, courtesy of Droid-Life, we have our very first hands-on images of the next Samsung phablet. The images this time around are very high quality and give of us a great look as what is to come from Samsung. 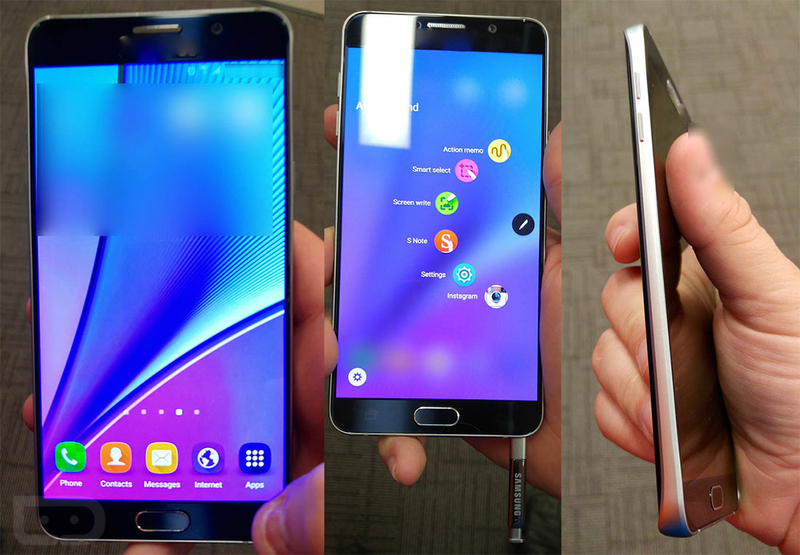 The Note 5 looks very much like the Galaxy S6, just in a much larger package. While the front looks the same, the back of the device has the edges curve down to the chassis, much like the front of the S6 edge. This will make the device a little easier to hold. A few interesting tidbits Droid-Life offers are that the S-Pen does eject via a spring loaded mechanism. This comes after an auto-eject feature was rumored, then discarded. On top of that, the leakster claims the device will have a 3,000 mAh battery, much smaller than the Galaxy S6 Active’s 3,500 mAh and the rumored 4,100 mAh. The S-Pen Air Command has also received a redesign as seen in the images. It comes out from the side of the device in a semi-circular shape, and it is now customizable. You can add apps to the Air Command as you so choose. Some other things we already know are that the device will sport the powerful Exynos 7420 processor and 4 GB of RAM. All that is being paired with 32/64/128 GB of on-board storage with no ability to expand. It will come with the same 16 megapixel camera as found on the S6/S6 edge, and is expected to be released on August 21st.